After picking up an Oscar for his performance as Stephen Hawking in The Theory of Everything, Eddie Redmayne is staying in the realm of the biopic for the time being, reuniting with Les Miserables director Tom Hooper for The Danish Girl. 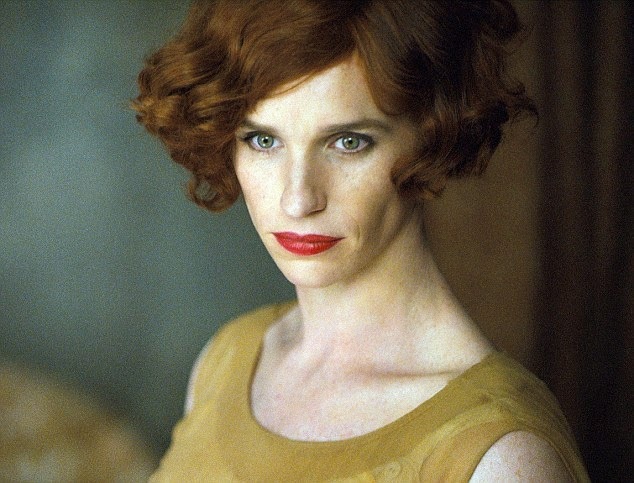 Redmayne takes on the role of Einar Wegener, who was one of the first ever men to undergo gender reassignment surgery to become Lili Elbe, a persona he felt more comfortable with after his artist wife Greta (Alicia Vikander) persuaded him to pose for her in drag. The Daily Mail have shared the first image of Redmayne as Lili, and it shows that those involved are treating the subject of transgenderism with the respect it deserves. This is another brave role for Redmayne, one that shows the actor isn't afraid to challenge himself, and I wouldn't be surprised if this puts him back in the awards race next year. The Danish Girl is expected to be released later this year.